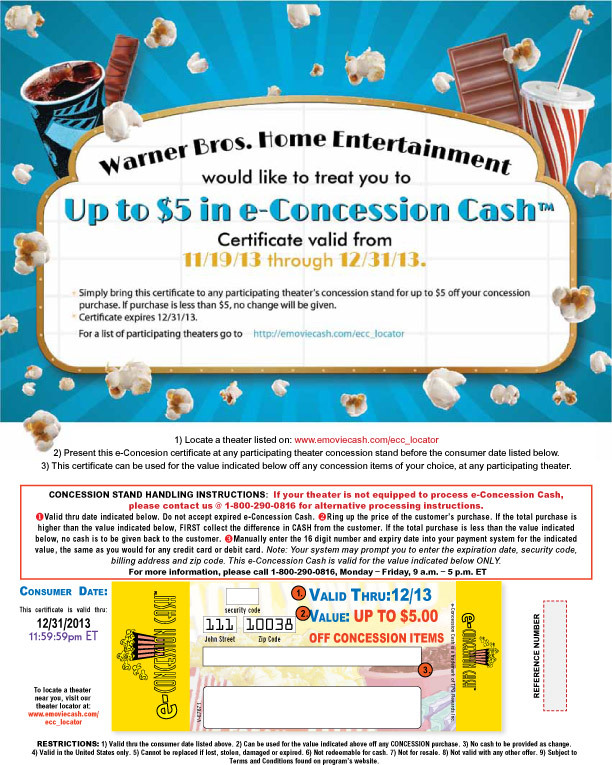 Warner Home Video wanted to offer $5.00 e-Concession Cash to consumers who purchased select WHV catalog discs at Walmart retail locations. Offer was displayed on-pack. Double-sided stickers containing the unique e-Concession Cash Code were affixed to discs. 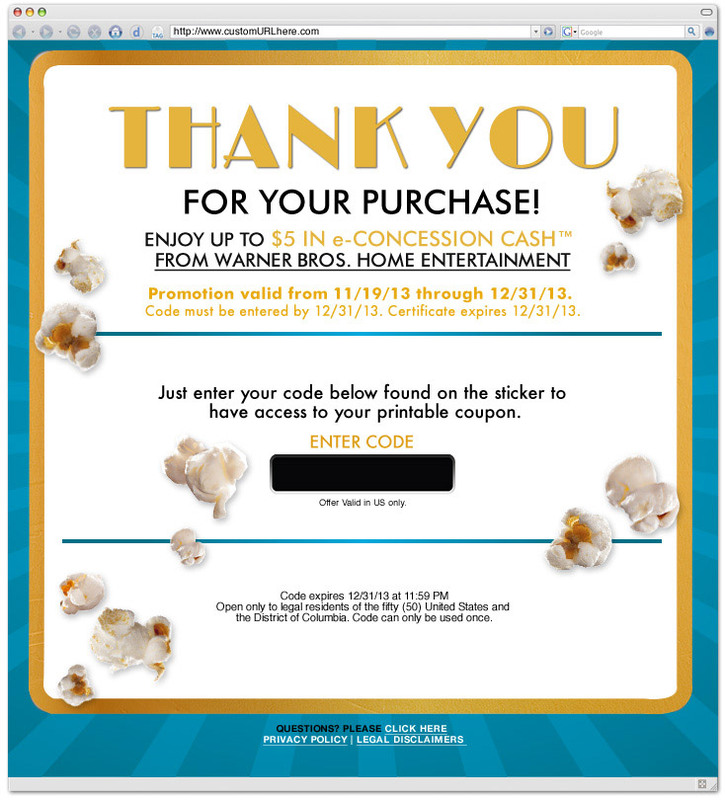 Every consumer who redeemed a code on the dedicated redemption site received a $5.00 e-Concession Cash Certificate.